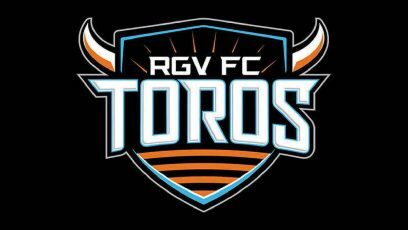 EDINBURG — The RGV FC Toros yielded four goals for the first time this season and the first time at home in franchise history, falling 4-2 to OKC Energy FC on Saturday at H-E-B Park. The Energy tallied in the 34th, 36th, 54th and 67th minutes, consistently sending long passes into dangerous positions behind the Toros defense. The onslaught represented far too much firepower for an RGV FC attack that entered Saturday ranked last in the USL with 19 goals scored this season. The Toros drop to 3-9-11 with the loss, while OKC moves to 9-12-5. RGV suffered only its second home loss of the year, dropping to 3-2-8 at H-E-B Park. For the match, the Toros put just two shots on target compared to the Energy’s nine. Christian Volesky scored first for Oklahoma City in the 34th minute, firing a shot into the upper-right corner of the net from the left side of the penalty box. Only 95 seconds later, OKC’s Jose Barril sent a long chip to Alex Dixon behind the right side of the RGV FC defense, and Dixon lasered a shot into the top of the net from about 12 yards for a 2-0 lead. The two tallies marked the shortest time between conceded goals for RGV FC this season. Five times this year the Toros have allowed a pair of goals less than 10 minutes apart, including last week’s 2-1 loss to Sacramento Republic FC. RGV managed to claim a goal back during the final moments of first-half stoppage time. After a corner kick, Conor Donovan sent a back-heel flick to Omar Ontiveros, who sent the ball back to Donovan. Donovan gently poked the ball back toward the middle of the pitch, and Matias Zaldivar charged forward to push it into the net with his right foot. Zaldivar had played just one of RGV FC’s past five games before getting the starting nod on Saturday. Volesky stretched OKC’s lead back to two in the 54th minute, charging through the box and using his left leg to deflect a cross from Dixon into the left side of the net. Then, in the 67th minute, OKC sent a long ball from the back line to forward Adam Jahn in the RGV penalty box. Jahn’s first touch was deflected by Toros keeper Nico Corti, but Jahn stuck with the play and volleyed his second touch into the net for a 4-1 lead. After Houston Dynamo assignment player Eric Bird drew a penalty in the box, RGV FC captain Todd Wharton converted a penalty kick in the 79th minute. DeLaGarza made his second appearance with the Toros after debuting with the team last week against Sacramento Republic FC. DeLaGarza played about 60 minutes, a step up from the 45 he played last match in his first action since suffering a torn right ACL during the Houston Dynamo’s regular season finale last year. Prior to the injury last season, DeLaGarza had started 30 of the Dynamo’s 34 matches, ranking second on the team with 2,623 minutes. He was wearing Houston’s captain’s armband for the first time the night he suffered the injury. He underwent surgery on Nov. 1. He said he felt only normal aches in his knee after Saturday’s game.